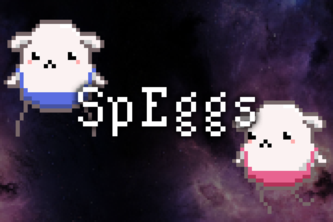 SpEggs! These adorable, egg-shaped astronauts are on a mission to explore the GalEggxy, but they run into trouble after entering an asteroid belt, and enemy fire! Help them fly and fix the ship!